On October 5, 1962 the world met the most extraordinary gentleman spy in all fiction, James Bond. 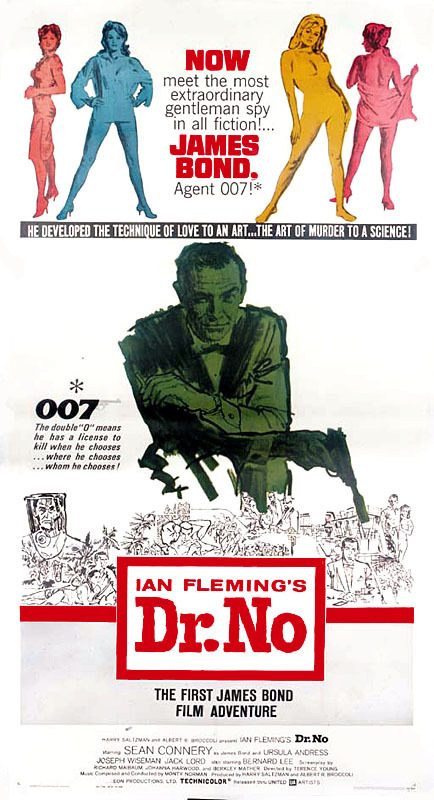 The film franchise today turned 45 as Dr. No premiered on this date at the London Pavilion Cinema. In attendance was Ian Fleming and his friends including W. Somerset Maugham. Terence Young, the director, has always stated that James Bond premiered when the world needed him on “exactly the right week of the right month of the right year.” As Bond was fighting the villainous Doctor Julius No on screen, attempting the save the world in the Caribbean in a plot involving missiles, the Soviet Union and the Caribbean country of Cuba days later threatened nuclear war in a showdown with the United States known as the Cuban Missile Crisis. 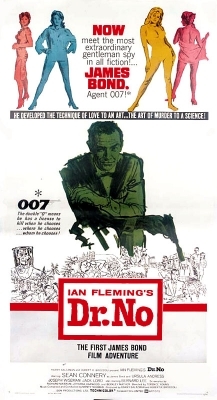 45 years later and you have to wonder if anyone involved with Dr. No, including Fleming, would have ever believed that the franchise would still be going strong to this day. And look at Casino Royale. We could very well be at a time where Bond hits another “all-time high”. A Bond movie hasn’t put up numbers like Casino Royale since 1971 when Roger Moore played Bond for his first time in Live and Let Die. That’s pretty damn amazing if you ask me, especially after coming off the Brosnan era and the success he had. Here’s to another 45.
hey does anyone know the answers to the young bond Eaton Exam because i only get one wrong and it wont let me pass, I’ve read the Silverfin book three times and i cant find the answers.